Digital retailers: Google Play, iTunes, Amazon MP3. It’s a never ending sense of frustration at IDHAS HQ that Ex Norwegian are not massive. If this were the Seventies, the momentum would have achieved this, but in these Spotify, one track wonder, move on to the next, albums have a hard time. Roger Houdaille’s Miami Beach trio deserve that success. This is album Number 9 in just over a decade and each has the happy knack of giving you what you want yet taking the music on a pace. No Sleep is great Pop Rock, albums that get made less and get heard in the mainstream even lesser. Having two vocalists helps the variation. The decisions on who sings what are spot on. The sweet tones of Michelle Grand work beautifully on the likes of Marquee 1970’s, a real stomp that you will have heard on the IDHAS Radio Show. Separately, Houdaille and Grand’s vocals excel, it’s also great to hear a joint vocal on the left field, Block. The duo even get to sound all Deacon Blue on Triggered Weeknd. Grand’s vocal on Maybe Next Time is Kirsty MacColl like. The whole album is a sort of best of 75 – 85 music wise, the new wave pace of Right Again is spot on. Fernando Perdomo never seems to sleep and here he adds Guitar to Good Intentions and Making Deals. The former is a real Glam sing along, whilst the latter is the album’s centrepiece. Making Deals is a real ear worm, all street attitude, it’ll certainly be up there in my 2018 Review Of The Year. The Perdomo solo on Making Deals is worth the admission alone. I can’t emphasise how good the song is, so much so that it’s the lead song embedded here. In a just world, people would be queuing outside record shops to buy No Sleep. You’ll just have to go second best and buy it where you can. You can listen to and buy the album here. You can also buy the CD at Ray’s excellent Kool Kat Emporium here. 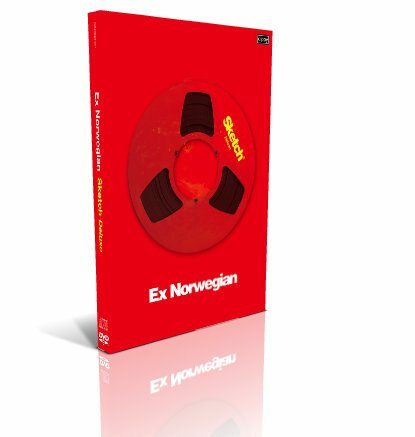 Ahhhhhhhhh….No Sleep is classic Ex Norwegian. If you don’t know what that means, you have some catching up to do. Regular readers know we’ve been big fans of this band for years. For anyone who’d like to know why, this album would provide an excellent frame of reference. This Miami, Florida-based group has been creating incredible pop music for several years. Over time word has spread and they now have fans all over the world. Ex Norwegian is the trio of Roger Houdaille, Michelle Grand, and Giuseppe Rodriguez. Other cool folks appearing on these tracks include Adam Rhodes, Fernando Perdomo, Derek Cintron, Greg Byers, and W.D. Miller. If you like pop songs that stick in your head like glue and never go away, you’re gonna totally dig this album. No Sleep features eleven super smart guitar-driven pop tracks that are sinfully addictive. A few of the band’s more recent albums have featured a more raw basic sound. On Sleep, they return to the more produced and polished sound they had when they were just getting started. The end result…will blow your mind. Houdaille’s ability to consistently write insanely good songs is impressive and amazing. Unlike other folks whose songwriting skills seem to fizzle out over time, this guy’s compositional talents just seem to get better. Michelle, Giuseppe, and Roger play with the kind of precise intensity that propels their tunes to another level. You can tell by the sound of these tracks that these folks enjoy playing music together…the positive vibes come through loud and clear. The album was produced by Roger and mixed by Zach Ziskin. Uplifting in so many ways, these classic songs will most definitely stand the test of time. This is easily one of the best albums yet by this continually engaging underground pop band. It’s also bound to be one of the best pop albums of 2018. Kickass cuts include “Good Intentions,” “Team No Sleep,” “Triggered Weekend,” “Alt-Cool,” and “Seldom Sober.” Highly recommended. TOP PICK. This Miami sound machine rolls on, undaunted and/or perhaps inspired by founder/guitarist/singer/producer Roger Houdaille’s hospital death scare a few years back. Following two 2016 albums, No Sleep is another brash affair with sly, bursting late ’60s/early ’70s-pop isms a la Shocking Blue, Wings, Ozark Mountain Daredevils, late The Move/early ELO, and lighter Cheap Trick—a similar draught that animates A.C. Newman and his New Pornographers and a bit of Nada Surf. The tunes are big and bad as their driving sound with lead guitar doubling melodies, and backing, heavy harmonies (often male/female with pretty Michelle Grand). The likes of “Making Deals” seem to all but leap out of speakers, so boisterously busy and eagerly spouting are they, tempered it against prettier sides such as “Triggered Weeknd.” Whoever kept RH alive did more than just his friends and family a favor. 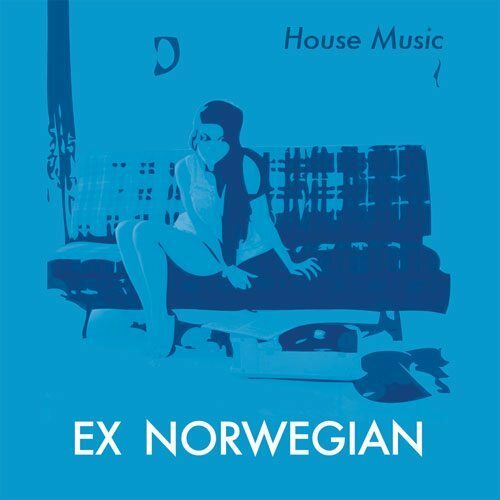 As I listened to this latest album from Ex Norwegian, I kept getting the feeling that I’d heard it before. And then, suddenly, I realized that I’d listened to the whole album. And I understood. 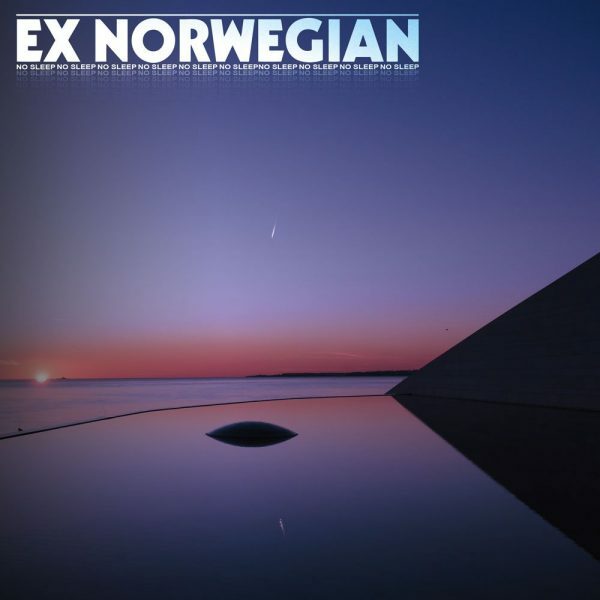 This is Ex Norwegian’s ninth album. If you aren’t already a fan of the band’s kitchen-sink approach to power pop (one that is highly reminiscent of the New Pornographers, with guest shouters and all), there’s nothing here that will change your mind. If, somehow, you haven’t ever come across the band and think you might be interested–trust me, you will be. The songcraft is as tight as ever, and the raucous production sound loosens things up to a wonderfully-approachable level. This album was released the day after summer started, and that’s just about perfect. Few bands scream summer like Ex Norwegian. So, yes, nothing new to see here. Just power pop brilliance, shimmering even as summer turns into a molten mess. Drop this in and ease into your own fade. Even while keeping a steady pace of recording a new album each year, Ex Norwegian shows no signs of losing its creative edge. No Sleep, which dropped a few months back, is the Miami-based band’s latest collection of cryptic lyrics set to catchy melodies. And it’s great to hear singer-guitarist Roger Houdaille and singer Michelle Grand joining forces again after Grand was absent throughout much of 2017’s Tekstet (Subtitled). It’s hard to get a consistent message via Houdaille’s edgy lyrics. “Triggered Weeknd” opens with the inspired mantra of “Feel good deep inside, feel good worldwide, feel good to be alive” but later talks about “corrupting musical minds.” Then there’s this couplet from the acoustic-based “Alt Cool”: “traffic flowing into march/Clear blue sky seeking animal starch.” It might not make sense, but like all the songs on this latest effort from Ex Norwegian, the well crafted performances make it work.